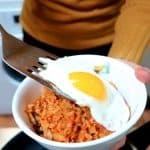 Kimchi Fried Rice. 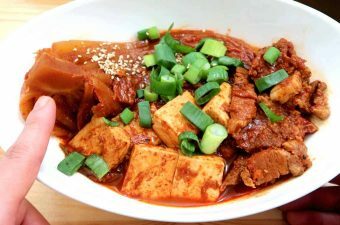 It’s a simple and unassuming dish that encapsulates the unique flavors of Korean cuisine – including the famous Kimchi! 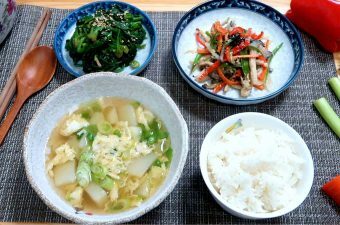 If you have never tried cooking Korean at home, I would recommend this dish as the starting point. Kimchi fried rice is one of those childhood comfort foods that I crave frequently. I have this fun memory associated with it. When I was young, my sister and I would have a contest to see who can best spell their name out with ketchup over the fried rice. I remember being so annoyed that I had two more letters in my name than my sister (Her name is Mina). I usually would put my spoon through her egg out of spite. Which then led to her hitting me in the face. And then both of us getting spanked by our mom. Gotta love Korean families! 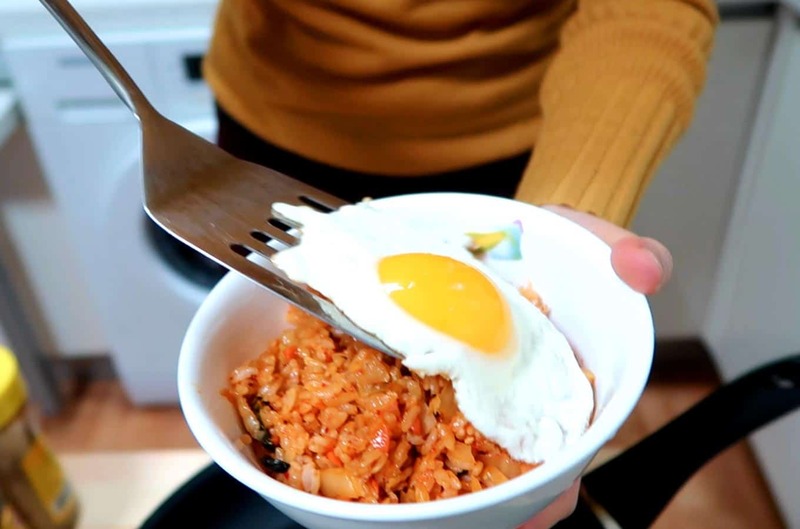 Here is the Korean fried rice from my home – including the (mandatory) sunny-side egg. Enjoy! Kimchi fried rice is a great introduction into Kimchi and the spices of Korean cuisine. Absolutely delicious! Then cube the onion, spring onions, carrots and kimchi into small pieces. Also cut the bacon into small bite-sized pieces as well. Take out a large frying pan and put it on a medium-high heat. Put some oil in. Once it is hot, put the bacon pieces in. Once the bacon starts to sizzle, add-in the onions, spring-onions and carrots. Stir around until you see the onions turn slightly translucent. Next, add the seasonings (Korean red chili flakes, sugar, soy sauce, and black pepper) into the stir-fry. Stir-it around and get it mixed-in well. Then throw in the Kimchi pieces and stir everything together for ~2 minutes. Then add in the rice as well as some Kimchi liquid (if you have it). 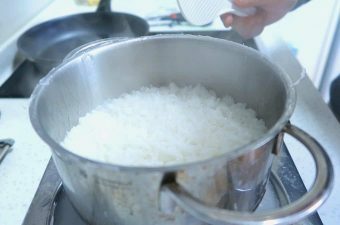 Continue to stir to get the rice evenly mixed. Turn off the heat. Add in the sesame oil and a few shakes of sesame seeds. Thanks Danny! – the “red stuff” on top is korean red pepper flakes – gochugaru, but sliced thin from the whole dried pepper – mom got it from a korean grocery. 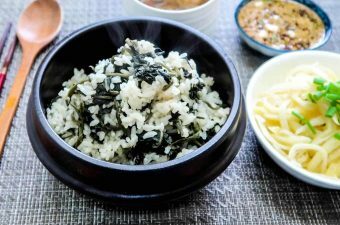 I’ve been making alot of your recipes and eating Korean basically every day. 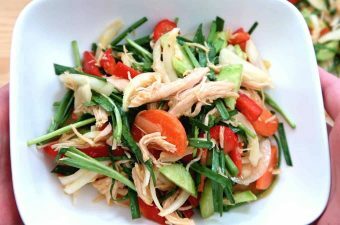 Mom’s been vegan for a while – so the diet is very complimentary! Hi Jdodd! Wow look at the plating. You even got some saffron on top! Fantastic job … quite impressed really 🙂 I am happy that you are mom enjoyed it. I think you’re mom will be expecting more and more in the future haha!